Home Music MLUE JAY`s #BLOWUP IS OUT NOW! 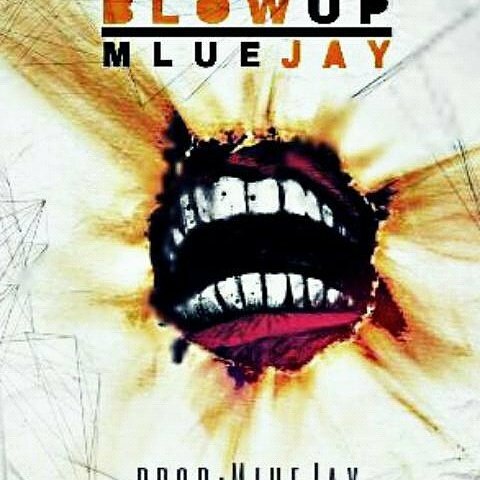 MLUE JAY`s #BLOWUP IS OUT NOW! Zim Hip-hop is getting hotter in 2016 .Mlue Jay a Rapper from Bulawayo now based in South Africa has dropped a new track called Blow-Up the track fresh and new.Its a single from his upcoming album called “IN IT 2 WIN IT” . Zim hip-hop is on the rise and Bulawayo is the breeding ground of some of the best rappers in the country.On this track Mlue Jay states his case and announces that he is the “King”. The King aspect in this song and the lyrical skill of this ambitious cat will definitely piss off the big fish in the game at the moment and cause more buzz in the Zim Hip-hop game. Mlue Jay has been one of the hardest working young rappers from Bulawayo in the first five months of 2016.He is one young cat to watch this year as he has been recently signed by ST EMPIRE Entertainment based in South Africa. You can check out the link below and download the new banger and follow this link to listen to Mlue Jay`s interview with Cal_Vin on the hip-hop kapital podcast.